A small town sheriff investigates a bank robbery, which has led to a string of murders. 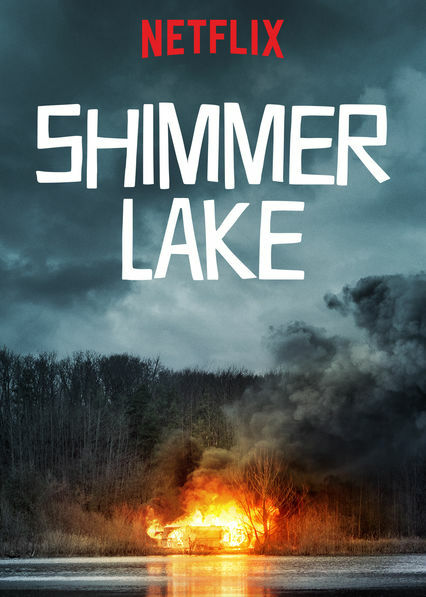 "Shimmer Lake" is the directorial debut of writer/director Oren Uziel. It is a darkly comedic crime thriller mystery where the twist isn't so much at the end of the story but at the beginning. Because of this, the film is told in reverse, starting with the events on the Friday following a bank robbery and working its way back to the day the actual crime occurred earlier in the week. We have seen this technique before, most notably in the film "Memento," though this is slightly more rudimentary than that. It stars Benjamin Walker as Zeke Sikes, a small town sheriff who has spent the last few days investigating a bank robbery and a series of murders that happened because of the fallout of the crime. 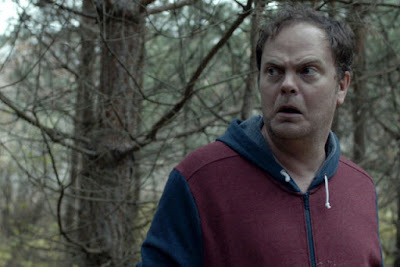 Zeke's brother Andy (Rainn Wilson), a one-time criminal prosecutor and now, is a prime suspect in the robbery and murders. It may seem weird for a sheriff to be investigating his brother, but it's a small town where everyone knows everyone. Also in the film are Wyatt Russell, Adam Pally, John Michael Higgins, Rob Corddry, Mark Rendall, Ron Livingston, and Stephanie Sigman, who are all either involved in the crime or are the people investigating it. We knew nothing about this movie going into it. We just saw that it was one of the latest Netflix original films to be released on their service. 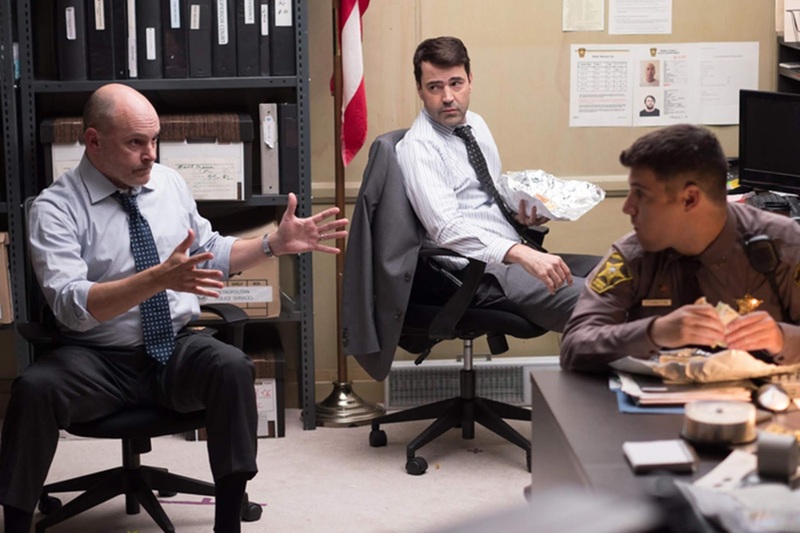 Netflix-distributed movies have been hit or miss for us, but we always hope for the best, especially when it comes to oddball stuff like "Shimmer Lake." We are fans of dark comedies and crime comedies, so this one seemed right up our ally. This type of dark humor isn't for everyone, but it is for us. We ended up enjoying this movie quite a bit. It isn't the type of comedy that is outrageous or raucous with jokes and scenes that are roll on the floor funny. The laughs come from an intriguing story, its tongue-in-cheek banter, and a subtle wit that will make you chuckle throughout its runtime, even if it's stuff you shouldn't always be laughing about. This is a movie that doesn't have to rely on comedy entirely since the audience is also pulled in by the actual plot, the characters, and its mystery aspect. Benjamin Walker plays a charming good ol' boy type and gets in his fair share of quippy lines, but he is actually one of the few non-comedians in the film. He and the rest of the cast do a great job in their respective roles, particularly Rainn Wilson. As we go backward in time, we get more and more clues as to how it all began, which is perfectly revealing to how it ended, picking up steam as it goes along its story. In the end, "Shimmer Lake" has solid performances, a great premise, and is successful as both a mystery and as a dark comedy.